As an IT service delivery consultant, Mike optimizes teams and processes. He has found using visuals helps to identify gaps and inefficiencies and to present new and improved processes. Mike uses Lucidchart to map out the team's current process while with the client, gathering feedback in real time. Putting the client's information in a visual format helps Mike identify inefficiencies hurting the company's current processes. Mike is able to give the client a diagram mapping the to-be process and supporting documentation. The client can refer to the visual as they implement the new process. 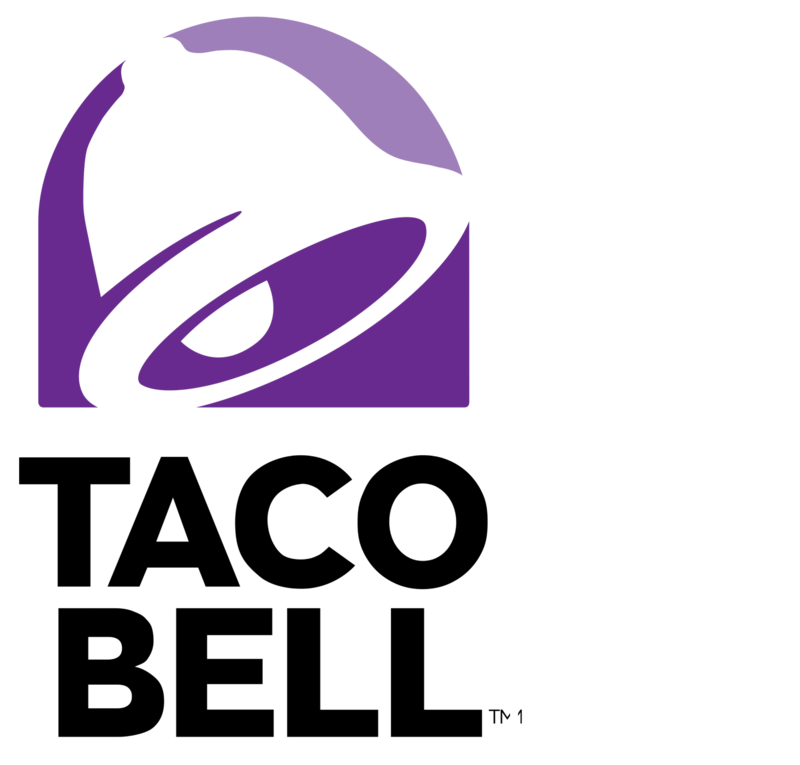 Taco Bell is a subsidiary of Yum! Brands, Inc. and the nation's leading Mexican-inspired quick service restaurant. It consists of over 350 franchise organizations and 7,000 restaurants serving more than 42 million customers each week. Mike Doane can work magic when it comes to revitalizing a team—he has a knack for finding what’s broken and patching it up. His secret to revealing the holes in teams, processes, and systems? Using diagrams. Mike is currently an IT service delivery consultant at Taco Bell. He’s been in IT service delivery for 20 years, so he’s worked on his fair share of inefficient company processes. When he comes into an organization, his first step is to dig deep. He wants to know absolutely everything about the team and how they function so that nothing is left to the imagination. After this information-gathering process, his next step is to map it all out. Before discovering Lucidchart, Mike mapped out processes in Visio after his meetings with the customer—he didn’t have time to try and actually create his Visio diagram in front of the customer. The result was a disconnect between the information gathering and the diagramming. With Lucidchart, these previously separate activities have become one efficient process. Mike schedules a meeting with the team and pulls up Lucidchart right away. As he and the team discuss their current processes and systems, Mike maps everything out on the fly right in front of the customer. “Lucidchart is much more intuitive and much, much, much quicker to use,” says Mike. Mike is able to gather feedback instantaneously rather than emailing versions of the diagrams back and forth after the meeting. He says having this visual element front and center has “changed the conversation.” It helps remove mental blocks and get everyone talking. 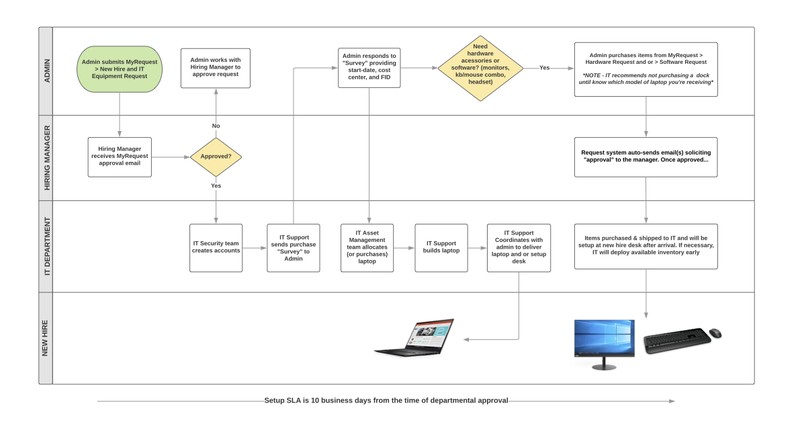 By going through the diagram together, both Mike and the clients can find the disconnects and inefficiencies hurting the company’s current processes. “Generally, processes exist in each person's mind in a different way. There are misunderstandings, but when you get everyone in the same room and you project it up on the screen and everyone's looking at it from a visual process or perspective, then you're able to have breakthroughs that you wouldn't have otherwise." After the meeting, Mike can spend time digesting the information he has gathered so he can design new and improved processes. His final deliverable usually consists of as-is and to-be diagrams with accompanying documentation, which allows the client to clearly understand the proposed changes. Mike has completed this exercise for a variety of companies. In one instance, he was working with an IT support team that had a terrible reputation. Mike was brought in to turn things around, and at first he was stumped—the team seemed sharp and easy to work with, but customers kept complaining about their unresponsiveness. So Mike gathered the team in a room and asked them to go through every single way they can receive a support request and the person responsible for monitoring each of these channels. He began mapping out every incoming method in and the responsible party in Lucidchart. Mike’s clients love his diagrams. Delivering solutions through Lucidchart is different than his just talking through the process and throwing out his ideas on what to change. According to Mike, that method just doesn’t quite push it across the finish line. Lucidchart helps the team understand new processes more easily and implement them successfully. “The cool thing about Lucidchart is that you’re able to give a finished product that lives on even after I leave the team. Hopefully they’re still using the Lucidchart documents today—that’s my goal." Optimize your processes with Lucidchart!